Taylor Hidalgo longs for validation he doesn’t want. Regardless of what game I am playing, I am a coin teetering on its edge. If it topples one way, I am a powergaming weasel, buried in the Wikia and YouTube guides, looking for the strongest items I can snake toward to give my character the edge that will sate my need to win. If it’s a game with no hidden equipment, I pay attention to the ever growing and expanding meta, learning which characters counter which others, which weapons work at what ranges, and what bits of battlefield memorization can make me a winner in more skirmishes than not. In loot-heavy grind fests, I can often burn hours more than I even want to running circles in a spawn room hoping against hope to get the piece of equipment that won’t make my game better, but my character stronger. If it topples the other way, I become an indulgent thespian. I behave as I think my character would, ignoring my impulse to go six layers deep in the wiki. I modify my speech a little to code more like I think my character might. In voice chat, if one is available, I do my best to speak in my character’s voice and breathe in their perspective. I find places that look like my character’s jam, and I sit there and take it all in. I do my best to live in the world as best as I can—rebuilding its history and society in my mind. In games without such a rich lore to wring out my playful acting, I create internal rules. 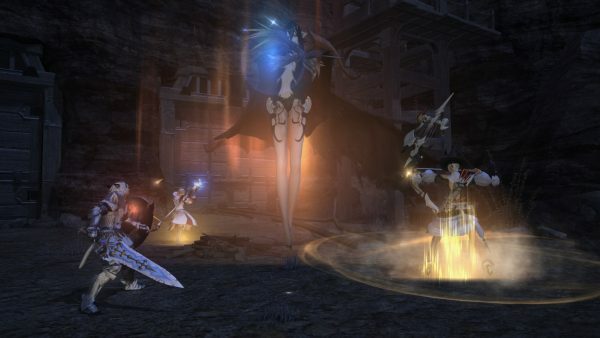 A team full of the same character, or where everyone in the party is using the same underpowered weapon is no longer a bad strategy; it is the only strategy. Anyone who doesn’t follow suit on my team become pretend enemies, traitors to the cause of meek pistols and clone characters. Realistically, who I am as a person is far more the second face of the coin. I enjoy not just games themselves, but the concept of play as well. Playing just to win isn’t “wrong,” nor is there anything inherently worse about it. It’s just not the way I’ve ever mentally categorized playfulness. For me, winning is a positive result, not the exclusively ideal one. Sometimes losing in an interesting way is more indulgent than winning categorically. The mindset that informs my powergaming weasel tendencies will almost never find that joy. The ability to write internal rules of the playground and play to those rather than those imposed by metagaming and optimal builds of the more serious crowds. However, in order to maintain what friendships I’ve developed in many games over many years, there’s a part of me that pays attention to the first face too. I’ll go through a game’s deep well of wikia knowledge and groan as I learn that the item I’ll need to make my build viable is in my least favorite corner of the world, populated by enemies I hate. But I’ll spend six hours a day, one or two days in the week, just to get that task out of the way and the item in my inventory. I’ll hate almost every second of doing so. I’ll complain furiously to my computer monitor. My hand clenches tighter, my fingers claw around the mouse, and the plastic slams harder and harder into the desk. I’ll shove my character in an unobtrusive corner so I can stomp away from the computer for a few minutes of respite before trudging back begrudgingly to throw myself once more into the meat grinder. I’ll struggle, fight, and burn through herbs and potions or medpacks or grenades or spells before returning to town, to do it all again after a quick heal. I’ve been in this community long enough to have convinced myself that in order to be seen as a “real” player and one worth the time of day, I need to be able to convince everyone that I too can wear a powergaming weasel outfit and follow the meta, equip myself with the +7 Saber of Overpower, fill a competent slot in the late-game guild instance, plug myself into a competitive gaming scene without slowing others down, and throw down in player versus player combat. None of that is who I want to be in a game, but I will rarely go more than a month without cracking the wiki, learning the equipment, and playing competitive modes in my downtime to practice the reflexes needed to be a “real” player. Even before I dealt with games professionally, I’ve always wanted to be a “real gamer.” One of those who plays bloody arena shooters and can join high-level guilds and prove myself a valuable contribution to whatever team I’m thrust into. The worst part of this precarious coin-edge is that the first face of the coin is just enough “me” to feel like it’s too worthwhile to discard entirely. I enjoy the puzzle that a game’s equipment system poses for players. I can spend hours generating versions of the same late-game character, learning what little variations on passive skills and equipment can have on the final tally. I enjoy watching YouTube videos to see how a certain skill or weapon plays in practice to see if it fits with the styles of play I prefer. Learning a new technique in an old shooter I don’t see myself even playing anymore scratches the same learning itch that leads me to GameFAQs pages in the first place. However, once it comes down to sinking hundreds of runs into the exact same dungeon, or drilling hours a day on a technique I don’t even enjoy executing just to cut my time-to-kill by a few microseconds, makes me loathe the game I would enjoy just by slowing down a little bit. Once I’m no longer planning optimizations but working on them, the sense of play is lost for me. The other face of the coin is the one I really want. It’s difficult for me to feel happy with being the jovial fool without also proving I’m the real deal too. I want to be validated for both my powergaming weasel and my affable bard. I wish I could be happy as just a power-adjacent clown. I hate that I can’t. 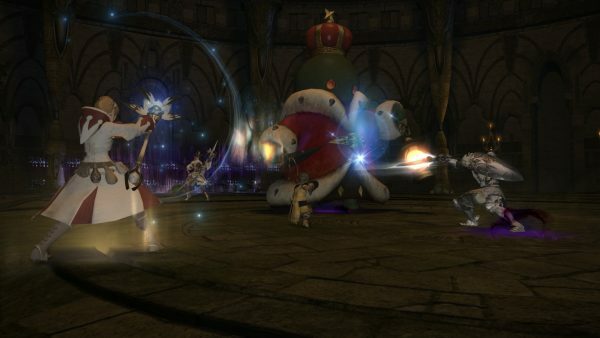 Images from Final Fantasy XIV, in the spirit of bland equipment grinds. -ed. You should know that I have heaps of respect for some of the innovations you came up with in Rag. You even forced a GM to use debugging tools to kill you when they couldn’t do it conventionally while you were just a Novice. I don’t think you have anything at all to worry about people accusing you of not being a “real gamer.” There’s nothing wrong with living on that other side and only occasionally venturing into power meta gaming territory. Of course, you know how I feel about those types.